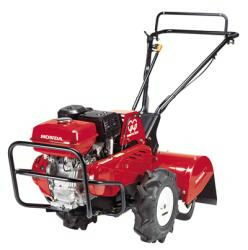 This tiller is good for areas that has been tilled before. Rental includes ramps for loading if needed. Need truck or trailer to transport. * Please call us for any questions on our tiller rear tine 8hp honda rentals in Hagerstown MD, Williamsport MD, Martinsburg WV, Waynesboro PA, Mercersburg PA metro areas.